Monolift Attachment – Bolt On – By B.o.S. Home/Power Racks/Power Racks/Monolift Attachment – Bolt On – By B.o.S. The Monolift Attachment is compatible by bolting on to any of our racks and rigs. The monolift attachment offers a space-saving and inexpensive monolift solution. Lined with UHMW plastic it’ll do minimal damage to your bar. Monolift Attachment is compatible by bolting on to any of our racks and rigs. The monolift attachment offers a space-saving and inexpensive monolift solution. Lined with UHMW plastic it’ll do minimal damage to your bar. What is a monolift attachment and why is it useful for my workouts? 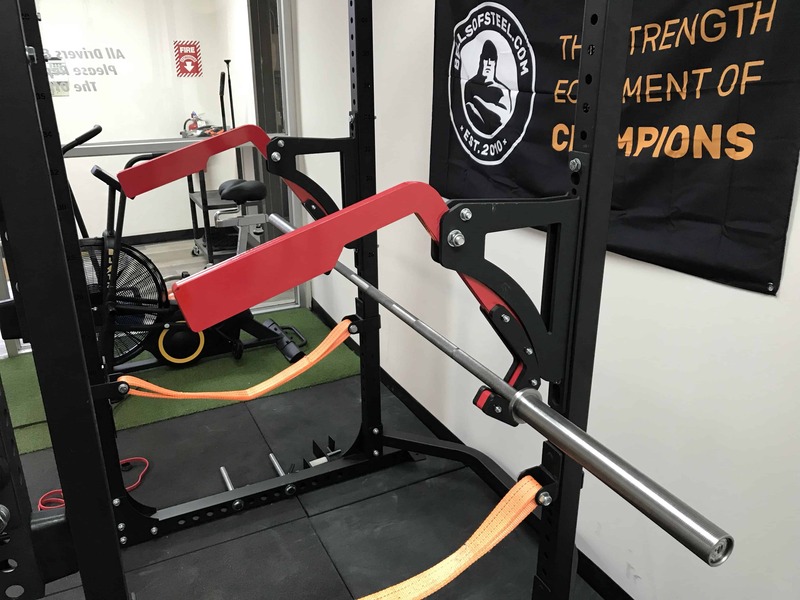 The Monolift has many benefits,it uses a counterweight system that swings the hooks back once the bar is lifted, this, arguably, makes squatting and benching safer particularly when training alone. This means during a bench press you can properly set to your exact bench position and do not need to “unrack” the bar. During a squat, it allows you to not have to do a walk out. Please note that due to the large size of the monolift, it can only be used for bench press and low squats, unless used with our brute rack. Bolt only on the inside of the rack unless your rack is bolted to the floor.